Operated by Lloyd and Jan Pruet, the Buckhorn Ridge Ranch is a full service hunting ranch. We offer Whitetail and Mule Deer hunts, plus Merriam Wild Turkey. Our aim is to make your hunting time successful and enjoyable. 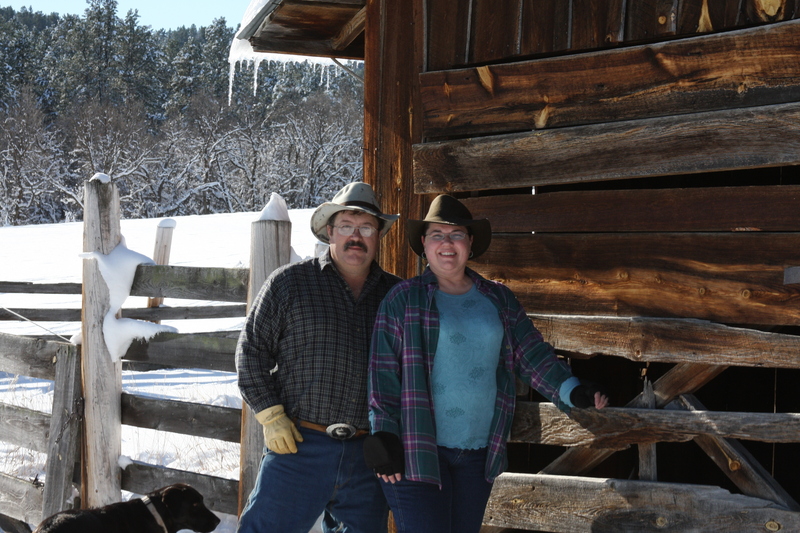 Buckhorn Ridge Ranch is in the northeast corner of Wyoming, in the beautiful Black Hills! We are 6 miles north of the town of Hulett, Wyoming and about an hour and a half from Rapid City, South Dakota (closest commercial airport). There are several wonderful attractions in the area including the Devils Tower National Monument, Mount Rushmore, Crazy Horse, Custer State Park, Sturgis, South Dakota, home of the famous Sturgis Bike Rally and many more! See our Area Attraction page for more information. Most are an easy day trip away. Looks beautiful and sounds fun!! Thanks Kris! It really is. We sure miss seeing you two! You’re welcome to come for a visit anytime! What if an old fat guy just wanted to come up and bring his pop-up , wife and two little girls. Could they be accomodated? They’ve seen all the beautiful photos, and would like to see it all in person some time.